The Historical Museum of The Hague is located in the historical heart of The Hague. The museum is housed in the former archery house of St. Sebastian's guild and dates from 1636. It is built on the spot of a gatehouse that was used by the civic guard. Parts of its cross-vaulted basement have been incorporated in the new archery house and can still be seen today. The civic guard of St. Sebastian used their quarters for parties and meetings. Immediately behind the building, alongside the Hofvijver, their shooting ranges were situated. Since the late 18th century, after the dissolution of the civic guard guild the building has been used as a hotel, court house and museum. Since 1986 the Historical Museum of The Hague resides in the St. Sebastiaansdoelen. Because the monumental building was never meant to house a museum, several adjustments have been made. At this moment the building is adapted to the latest demands regarding climate and safety in museums. 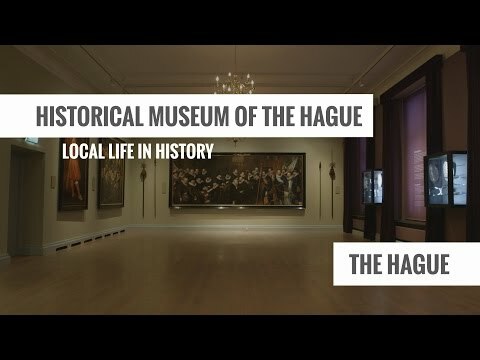 Nowadays, the Historical Museum of The Hague tells you the story of The Hague, about its government and inhabitants. Temporary exhibitions with a Hague twist are shown. Also, the Museum organises several events and activities. The Hague Historical Museum is open on Boxing Day (12:00 - 17:00) and New Year's Eve (12:00 - 16:00).